I'm back in BC now after a trip to Santa Rosa, CA for the annual trekredtruckracing.com team training camp. This was my third year attending the camp and it never disappoints with an interesting, fun and exhaustive time always to be had. While the weather down there can offer up a mixed bag, the nice cycling roads never ever disappoint. After a 3 am bedtime and short sleep for me, we hit the road at 10 am for the first camp ride. We only had a small group of athletes, as the crew racing San Dimas were still there for the criterium and arriving later Sunday night. We planned a nice simple ride to the coast, hitting Bodega Bay and then turning inland up Bay Hill Road and onto Joy road - which we knicknamed Joyless road after climbing its series of steep pitches that probably averaged about 15%. 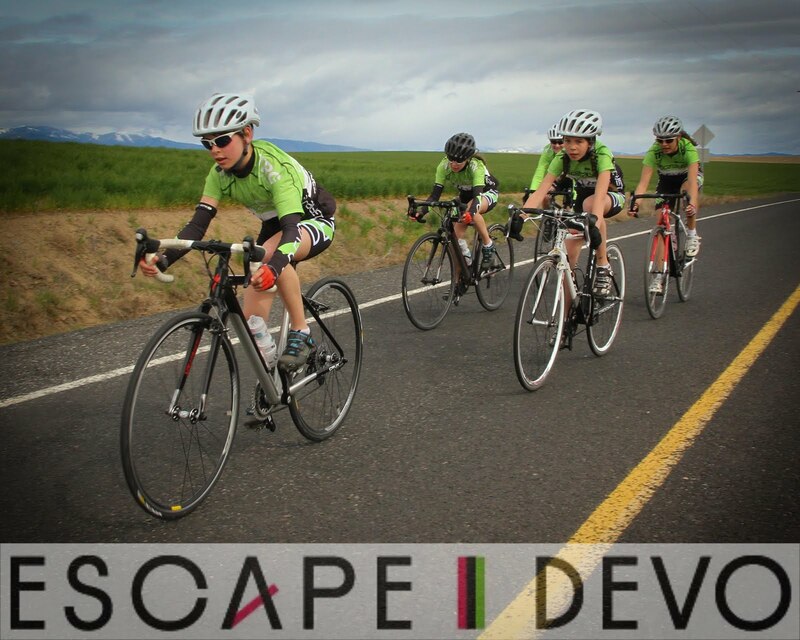 The next day we ventured into the Russian River Valley for some paceline (or TTT) training. We split into 3 groups and all chased each other. I was very happy to be able to take my position at the back of one of the pacelines to "coach". I recall the hours and hours of team time trial training when I was younger. Riding in a paceline technically perfect at full gas is something many riders with their individual training programs seem to struggle with these days. Day 3 of the camp was the last day for the team riders before the arrival of the masters/sponsors group and we had planned a mountain time trial on the oddly named Pineflats road as part of the days training. Amongst a few grumbles the womens and mens team riders started at 30 second intervals for an 11.5 km climb. I recall being in their position too in the past, and grumbling also. But when you are a younger rider every chance to compete real or simulated is a valuable opportunity, even if at the time a bit uncomfortable. Unfortunately the finish line timer was not at the correct place and so we did not get the times of the riders. Still one of the team riders - Craig Richey - made a strava section of the itt - which is a cool idea so other team camps in the future can go after his time. I held onto our support moto to pass all the riders so I could go up an snap some photos, and saw Craig was working hard and looking fast. So I do imagine that he set a good benchmark. Look it up if you are ever in the area and want to challenge his time! The Masters riders, who for the most part sponsor the Team program, arrived for riding the final four days of the camp. We did with them a number of classic rides for the area - The Gysers loop, a TRT own creation the "Duck Ride", and arguably the most famous ride of the region, King Ridge. After a winter of xc skiing and just 5 whole rides to prepare for this years camp I was feeling pretty toasted by day seven, so was very happy to partake in the 'Wine Tour group' for the final day of the camp. I think the other 2 groups, however, ended up being 'Coffee Rides' so it was an easy day for all before traveling home. Myself, Daisy Dog and Womens team manager Ann Yew drove home to Vancouver in one shot on Sunday. A few traffic jams slowed us down a bit, but then arriving at the boarder late at night meant no waits. The crossing this time was far friendlier than it had been going into the US, with the crossing agent asking us just about our shopping habits. I claimed a couple bottles of wine and the agent asked me how much I thought a couple was, to which I replied 2, which was fine. She said she asked "as everyones 'couple' was a little bit different".